If you take a close look, trends influenced by the baby-boom generation are all around us. Whether due to their generational likes and dislikes or due to the sheer number of boomers, they’ve had a significant influence on all of our lives. And now, as they enter retirement, they’re leveraging that same influence on senior living trends. There are more than 76 million baby boomers in the United States, putting us on the cusp of an exploding population of retirees. By 2060, the United States is likely to have more than 98 million people aged 65 or older. Baby boomers, who in 2017 will range in age from 52 to 71, are likely starting to make decisions about senior living with or on behalf of their parents. The oldest boomers may even be looking at senior living options for themselves. Baby boomers have never quite been like their parents, and the way they will retire is likely no different. To their parents, “aging in place” is of utmost importance. The silent generation craves familiarity—in their home in which they raised their children and in their neighborhood. Ninety percent say they want to stay put. That’s not necessarily the case for boomers. Boomers say they are okay with leaving their home—aging in place isn’t necessarily a top priority. But, they have strong opinions on how and where they will live out their retirement years, and in many cases, they bring these opinions to the table when searching for a senior living community for their parents. Much of what baby boomers will demand in retirement and in senior living has to do with how they lived. Because they’ve enjoyed, as a group, a relatively large amount of discretionary income, they are used to having what they want when they want it. In other words, they have had the luxury of making lifestyle choices that they will take with them into retirement. And what’s more, lifestyle choices will drive them to senior living communities, unlike their parents, who, in most cases, enter a senior living community due to medical concerns. So, what can we expect from baby boomers as they search for the perfect senior living community? They’ll look for personalized options, rather than a one-size-fits-all approach. Senior living communities will need to offer plenty of programming options and facility amenities, including the latest technology, to meet their diverse needs. 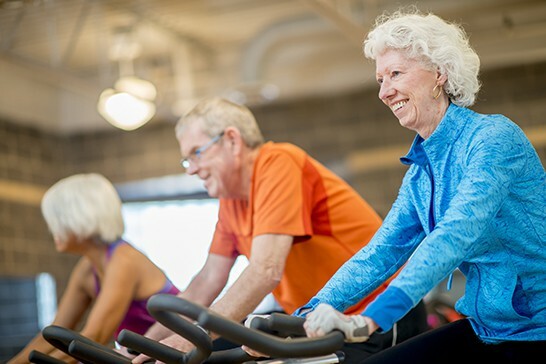 Not only that, tomorrow’s seniors will want amenities like fitness gyms and spas to be located closer to the entrance with the hope the amenities can be shared with community members. They will favor senior living communities that are more urban and close to community amenities. Think high-rise communities versus communities located in the suburbs. They will insist on personal privacy, and not only that, they also will want space—large living areas with multiple rooms and large bathrooms. They will want immediate access to doctors, psychiatrists, counselors and other medical professionals. They’ll want to entertain, whether in a multipurpose space or on an outdoor terrace. They’ll look for a neighborhood feel and multigenerational interactions. As baby boomers prepare for retirement, they look forward to moving on, as long as it’s to something better. Are you prepared for the influx of baby boomers? Ask us about how to implement these senior living trends into your current campus or a new facility. Contact us or call 920-969-9344 to learn more.